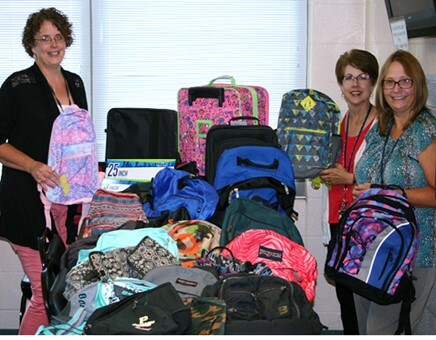 Backpack donation – Staff from the State Correctional Institution at Houtzdale recently collected backpacks and suitcases to donate to the foster care program of Children’s Aid Society. Pictured, from left, are Tracy Gibson, Suszanne Muirhead and Karen Twigg. Children who are placed in foster care often enter foster homes with nothing but the clothes on their backs or they only have a trash bag of belongings. According to the Children’s Aid Society, these donations will give those kids a little more dignity during a very stressful situation. There is also a dire need for families willing to foster and adopt older youth. Probing Question: What Causes Trees to be Diseased?